IRVINE, Calif., June 13, 2016 — Greenwave Systems®, the global Internet of Things (IoT) software and managed services leader, announced today that it has received a 2016 Red Herring Top 100 Award for its innovative technology, strong leadership and market position in North America. This prestigious award is presented to the most exciting and promising start-ups and “scale ups” around the world and serves as a testament to Greenwave’s continued success and momentum in the IoT space. Since 1996, technology industry executives, investors and strategists have valued the Red Herring 100 lists as an instrument for discovering and advocating the most promising private ventures from around the world. The Red Herring 100 Awards are widely recognized as one of the industry’s more prestigious recognitions, with hundreds of candidates from each continent competing for a Top 100. Red Herring uses more than 20 criteria to analyze the companies before selecting the Top 100 winners. Greenwave’s market-leading IoT solution, the AXON Platform®, was instrumental in securing this win for the company. AXON™ connects IoT devices across a wide variety of protocols for real-time communication and collaboration. Providing unrivaled scalability and agility, the horizontal AXON Platform is purpose-built for interoperability, mobility, security, privacy, safety, comfort and usability. With Greenwave, partners are able to quickly deploy managed services and expand their IoT offerings to maximize market opportunities. To learn more about the AXON Platform, visit www.greenwavesystems.com/axon. About Greenwave SystemsGreenwave Systems is a global Internet of Things (IoT) software and services company whose disruptive Greenwave360™ engagement model and scalable AXON™ software platform solution enables category-leading brands to profitably deploy managed services. The company’s mission is to drive mass adoption of IoT by enabling leading brands to use technology in ways that foster deeper customer relationships. 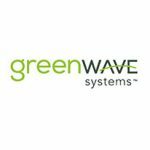 Learn more about Greenwave at www.greenwavesystems.com and connect on LinkedIn and Twitter (@GreenwaveSys).